The Originals sneak peek: Will Elijah choose his siblings or love? It’s either hot or it’s cold. Elijah and Hayley’s relationship on The Originals is about to take a turn. Out of all the characters who could have a Romeo and Juliet love story, Elijah (Daniel Gillies) on The Originals was not the one we expected, which is why we love that it happened to him. Now comes the rough patch, though. 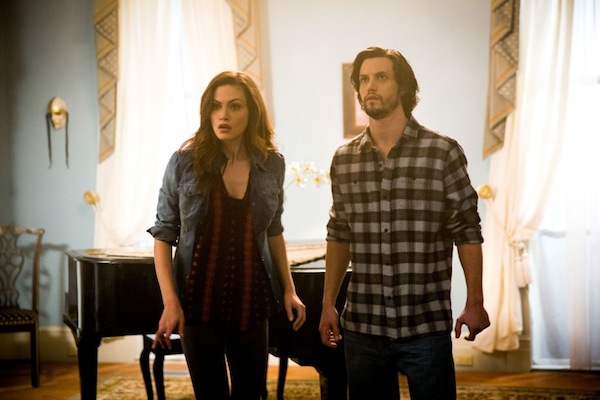 Noble Elijah will have to choose between Hayley (Phoebe Tonkin) and his siblings on the next episode of The Originals. Remember how Rebekah (Claire Holt) called him a hypocrite on the last episode? Yeah, that’s only going to get worse. The CW synopsis tells us Elijah won’t be the only one with drama. It’s amazing how the show manages to so seamlessly intertwine so many story lines. At the reopening of St. Anne’s Church, Father Kieran finds himself in a great deal of trouble after a run-in with a witch from his past. Marcel and Rebekah grow concerned when the reemergence of someone they once knew threatens to expose secrets they’ve kept buried for nearly a century. Elsewhere, Sophie is shocked when a discovery is made at the cemetery, but she soon realizes things may not be as they seem. With the full moon looming, Hayley lets Rebekah in on her plan to throw a party for her werewolf clan, but things take a dangerous turn when uninvited guests arrive. Meanwhile, Cami is conflicted when she makes a difficult decision involving the safety of Father Kieran, and Elijah finds himself facing his own dilemma when he has to choose between Hayley and his siblings. Finally, when one of his plans fails, Klaus (Joseph Morgan) takes drastic measure in the Cauldron, resulting in dangerous repercussions that affect everyone involved. 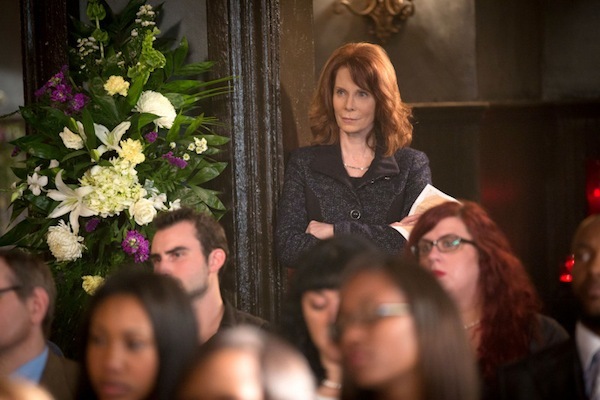 Will Celeste finally reveal herself to Elijah? By the looks of the promo, yes, she will. She’s seen telling him that she doesn’t want to kill him only teach him the error of his ways. How could their love story have gone so wrong? Why is it that Elijah remembers her with such fondness while she seems to have a vendetta against him? There will be a couple new witchy faces joining the cast next week, including the girl pictured above as a character named Genevieve and the woman pictured below who is named Bastianna. No doubt their plans won’t be favorable to the vampires. They’re probably working with Celeste. 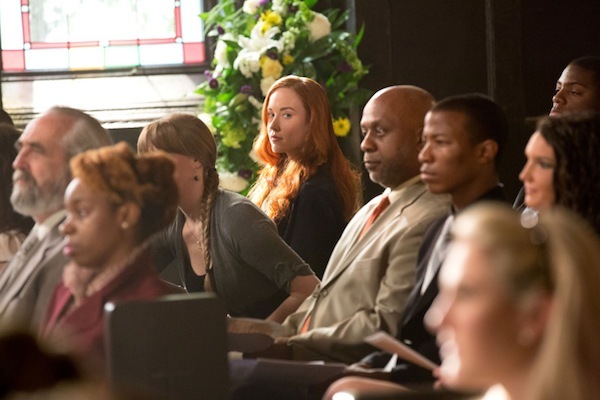 In the synopsis, we’re told Sophie will get a surprise in the graveyard. The promo video also shows a young girl in a white dress waking up in a coffin and panicking. Could one of the girls from the harvest spell come back to life since Papa Tunde died? Perhaps the catch is going to be that every time one of the resurrected witches is put back in their grave, the power will be transferred to one of the girls that died. Could that be the key to getting Davina back? It looks like Marcel won’t be the only one to make peace with Cami. 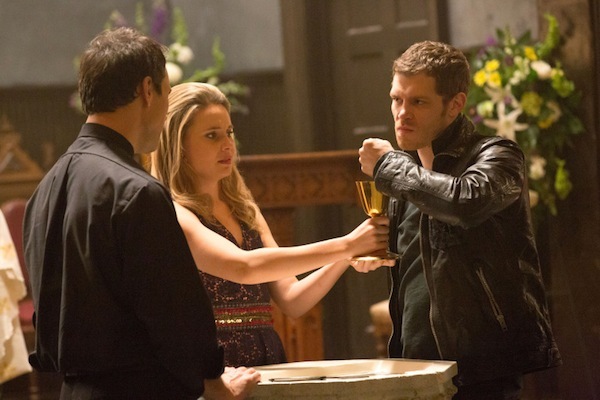 Klaus is going to try his hand at bonding with her as well, judging by the pictures. Sure, she definitely looks skeptical, but we think there’s hope. 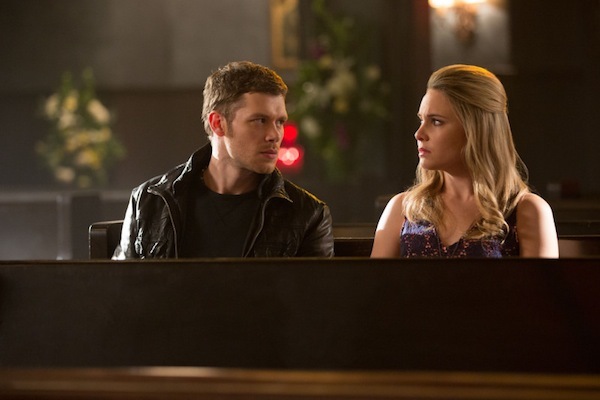 No doubt the next episode will be a rough one for Cami. St. Anne’s Church is the location where her brother went on a killing rampage. At least now she knows it wasn’t exactly his fault. Though it will be hard for her given that she can’t rationally explain the event to anyone else in New Orleans. 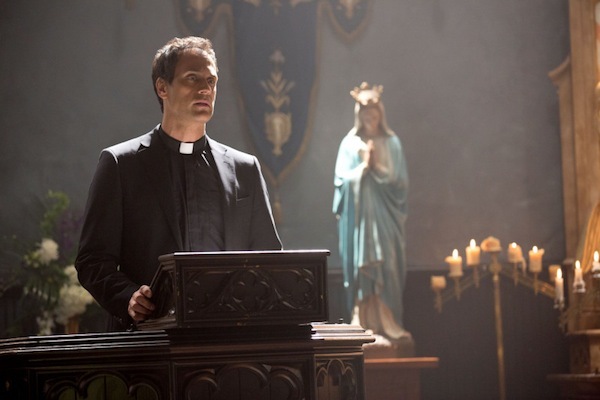 Is anyone else surprised Father Kieran has lasted this long on the show? There have been so many moments where I thought he’d met his end. It looks like next episode will be no different. 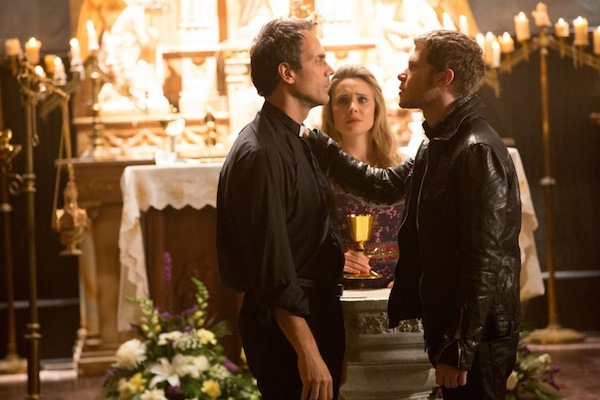 Klaus is definitely giving him the stink face. And you do not want Klaus to give you the stink face. 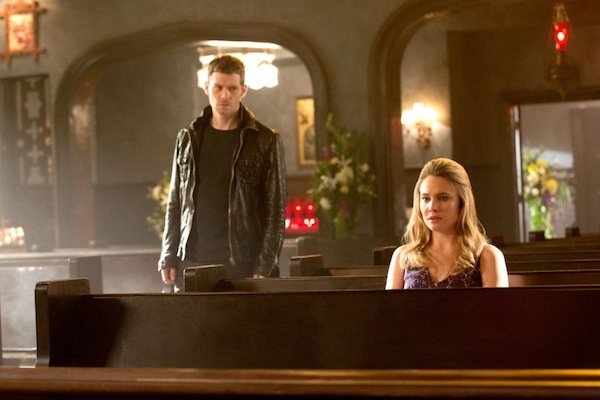 Apparently, Klaus will do something dangerous in the next episode. This fact almost doesn’t seem worth mentioning because isn’t that what Klaus always does? 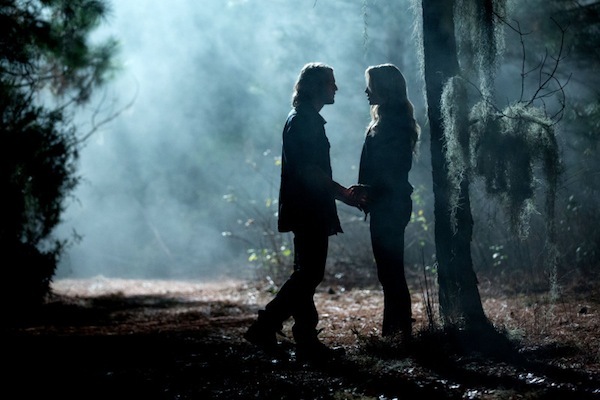 What is Rebekah doing in the middle of a forest meeting a mysterious man? She’d better not be getting yet another love interest. The last thing this girl needs is more relationship drama. She’s had more than her fair share to last at least a few centuries. According to the photo caption, this guy is a character named Oliver. Uh-huh. Maybe Rebekah is just innocently inviting him to Hayley’s werewolf party? She looks like she really, really wants him to attend the party. There will also be another new werewolf face next week. His name is Jackson. According to Zap2It, Jackson is the leader of the bayou pack and will become an acquaintance of Hayley. 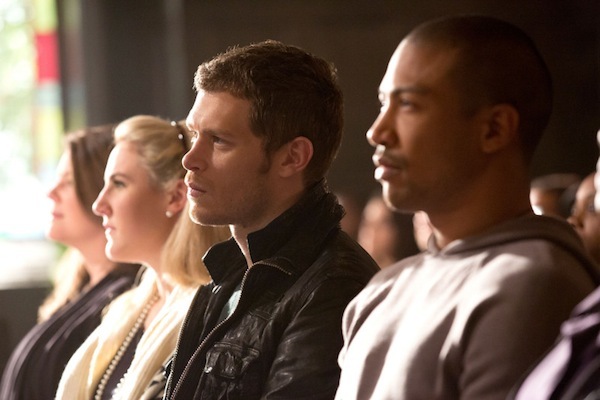 The next episode of The Originals airs Tuesday, Feb. 4 on The CW.